Looky here kids, it’s the Fall dashboard update in the hands of some uber l33t dude who “magically” has the new dashboard installed on his Xbox 360. Even better, he (or she) demos the new hard drive game installation process using GTAIV. From the looks of things, the process isn’t quick (copying gigs and gigs of data never is), but does actually copy over ever single megabyte from the disc. Though, you’ll need the disc to load the game. Pop some popcorn, sit back and enjoy the Fall update game installation process. 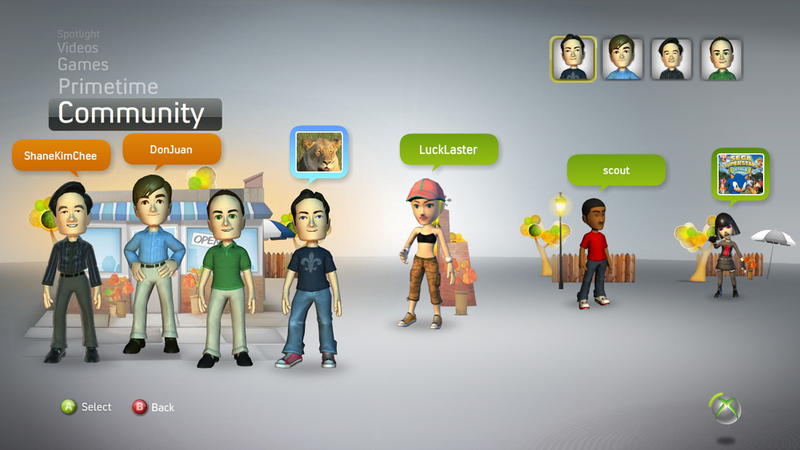 In an interview with VentureBeat, Xbox Live chief John Schappert confirmed that Microsoft is looking at the possibility of charging users for accessories that can be used to customize their Avatars. When asked about such plans, Schappert replied, “That may be in the future.” But what about the near-term? “We want to launch these with great customization and a great library of accessories this fall,” he said. Given the precedent set early on with for-pay customization items such as gamer pics, the fact that MS might charge for more “exotic” Avatar extras certainly doesn’t surprise us. We also wouldn’t be surprised to see free accessories created to promote upcoming games, films, and events, much in the way promotional game pics and themes are currently offered. So, that Spartan armor helmet? It’ll be, oh, 100 . But that totally radical Mountain Dew Extreme Sports Action Experience billboard hat is on the house.